Of the estimated 5,000 species that roam in the world, Mongolia is believed to be home to about 1,500 snow leopards. These big cats have been protected in Mongolia since 1972 and their habitat areas are found at over 30 different national parks in the country. Our journey will take place in two remote areas of the country, ranging from the high mountains to the lower grassland area. 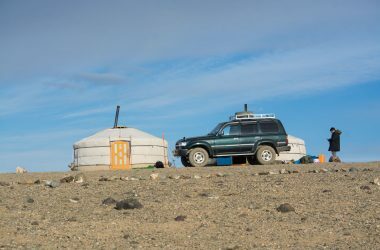 There are guaranteed sightings of wild argali sheep and wild goat ibex during the trip and possibly more mammals such as the saiga antelope and Mongolian gazelle. The estimated travel time is 3 weeks. During the trip, private gers will be set up to accommodate comfort and experience. Participants can set up camera traps or simply follow the local park rangers and follow the footsteps of these elusive but magnificent cats. On each day, led by our local rangers, we will set out to see these magnificent cats in their wild habitat areas. 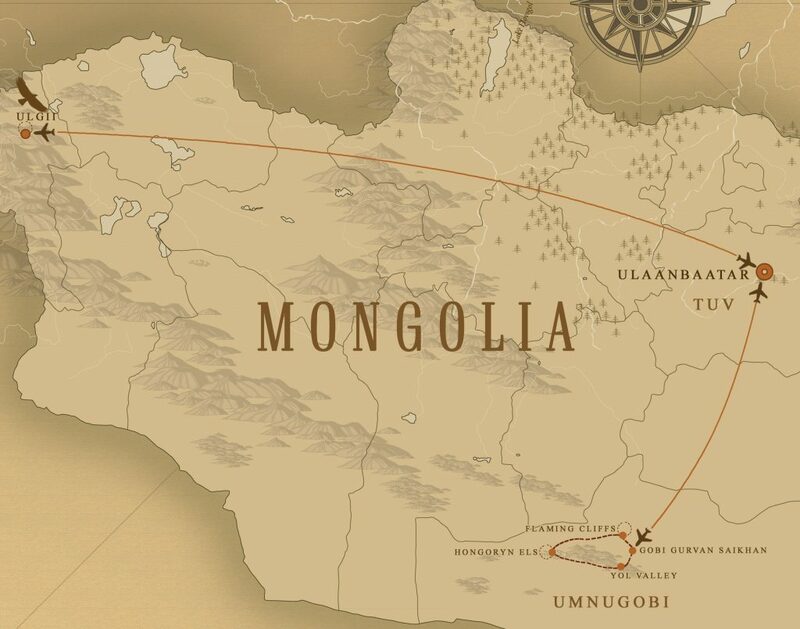 In the morning, we will fly to the western Mongolia, which is home to several large national parks. During the next few days, we will stay in one area and leave for daily sighting opportunities. 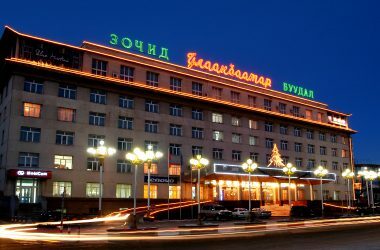 In the morning, we will drive to the provincial capital to fly back to Ulaanbaatar. Enjoy a day tour to this beautiful park located outside of Ulaanbaatar to observe and learn about Mongolia’s wild horse takhi, known as the Przewalski horse in the west. 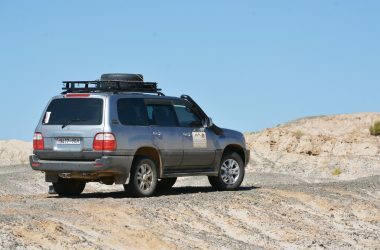 Day 10-15 will be spent in the Gobi desert, looking for Gobi’s wild life species such as the argali sheep, ibex, manuul cat and snow leopard. Travel back to Ulaanbaatar and enjoy a one full day of city tour. Throughout the rest of the program, you will be staying at cozy and authentic ger camps set up by our field staff. These gers are equipped with beds and stoves and other amenities to make us as comfortable as possible. Field toilet is supplied.